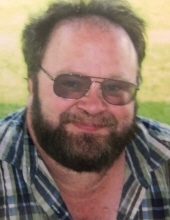 William Charles LaSalle, age 61, of Lapeer, died Friday, March 29, 2019. He was born September 27, 1957 in Pontiac, to Joseph and Nellie (Nickerson) LaSalle. Bill married Anita Jack on November 19, 1977 at Hillcrest Nazarene Church in Pontiac. Mr. LaSalle worked in production at the General Motors Lake Orion Assembly Plant. He was a dedicated, loving husband and father. Mr. LaSalle was a Boy Scout Master for almost 10 years in Brown City. After his cancer diagnosis he enjoyed a wonderful trip to Hawaii, saw Elton John in concert and had fun trying out for Wheel of Fortune. Bill was one of those people who was always willing to lend a hand to anyone in need… “he could fix anything!”. Bill is survived by his wife: Anita LaSalle of Lapeer; children: Brian (Ronda) LaSalle of Fort Gratiot, Michigan, Kelly (Roosevelt) Jeneus of Winter Haven, Florida and Scott (Cassie) LaSalle of Phoenix, Arizona; mother-in-law: Carol Jack of Metamora; grandchildren: Donald, Alexanderia, Jonathan, Joshua, Clara, Madeline, Jocelyna, John and Phoenix; siblings: Pierre LaSalle of Pontiac, Henry LaSalle of Pontiac, Denise (Jack) Stockwell of Waterford, Donald LaSalle of Auburn Hills and Gary LaSalle of Indianapolis, Indiana; and several nieces and nephews. He was preceded in death by his parents: Joseph and Nellie LaSalle. Memorial contributions may be made to the American Cancer Society or Boy Scouts of America. Visitation will be 4-8PM Thursday, April 4, 2019, at Muir Brothers Funeral Home in Lapeer. Bill’s funeral service will be 11:00AM Friday, April 5, 2019, at the funeral home and will officiated by Roger Eckstorm. Please visit www.MuirBrothersLapeer.com to share a condolence or memory. "Email Address" would like to share the life celebration of William Charles LaSalle. Click on the "link" to go to share a favorite memory or leave a condolence message for the family.